To do any of those things well you must enter the realm of the Supercomputer and High Performance Computing. At the extreme 'bleeding edge' of computing, HPC solves the hardest contemporary problems. Despite detours along the way, HPC has created very fast; very capable systems that we take for granted today. Attend the Chicago ACM on 12/11, and get the ringside seat on the past, present and even future of High Performance Computing. Sharan Kalwani recently joined the HPC group at Fermi National Accelerator Labs as a Computing Services Architect. Before Fermi, he was the Subject Matter Expert and Project lead at hpcexperiment.com, working on helping to realize HPC in the cloud. With 30 years of experience in Scientific and Technical computing, Sharan has worked at numerous HPC industry leaders that include Cray Research, Silicon Graphics, Intel, etc. He has also spent several years in the industry at General Motors – managing their global engineering HPC centers, as well as in the academic domain, helping to fulfil their research computing missions. 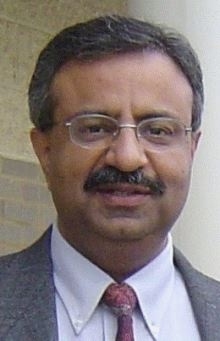 Sharan is a member of the ACM, Senior member of IEEE/Computer Society, USENIX/LISA, Society of HPC Professionals, and Sigma Xi. He also runs the popular discussion group 'Innovative Uses of HPC' on Linked In.